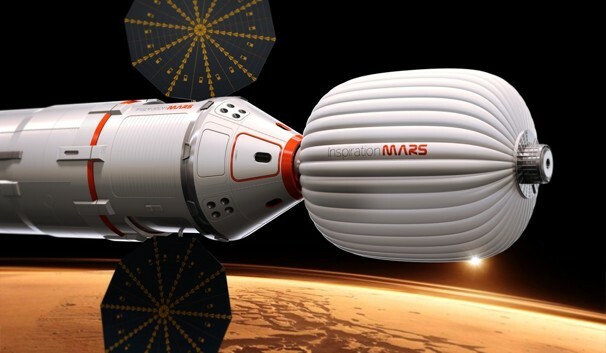 Dennis Tito, a multimillionaire investment consultant, announced plans to launch a married couple on a mission to the planet Mars. An article about this in the Washington Post yesterday asked reported that the trip will take about 500 days and the objective is to orbit Mars and head home. Scientists are hoping to learn what effect the monotony of deep space travel (all of the darkness, confined space, and lack of variety in companionship) is on humans. As I finished the article I wondered "If my wife and I were selected to participate how would we fare? Would we be more in love with each other at the end of the experience or absolutely sick of one another?" I would like to believe that we would be even more madly in love because of the opportunity to spend that much time together without any other distractions getting to know each other better. I imagine we would have arguments and probably even fights but because we were in a confined space we would have to refine our conflict resolution skills. While I doubt my wife would ever sign on for such an adventure I think it would be wonderful for our marriage if we approached it with the right attitude. What do you think? What would 500 days in space do for your marriage? I think that would be a huge stressor on my marriage because for one, I am a bit clostrophobic, and for two, I have to have my alone time daily. I'm mostly an introvert and need that time away from others--including my spouse--to feel like I can breathe again! :) I do think that having that uninterrupted time could be a great catalyst for conversation ... among many other pursuits! ;) Thanks for this thought provoking post and for linking up at Wedded Wed, Tyson!